We place rigorously trained tutors in preschools and elementary schools to help students age 3 through grade 3 develop the literacy skills needed to become proficient readers by the end of 3rd grade. Our tutors serve for an 11-month term throughout Washington, DC, Richmond, VA, Baltimore, MD, Springfield, MA, and Kansas City, MO. Tutors are supported by a multi-tiered coaching structure and receive ongoing professional development. In return for their service, tutors receive a modest living stipend, an education award, and basic health coverage. Our Pre-K tutors work closely with a lead teacher and a teacher’s assistant in a single classroom for the entire school year. They lead structured whole-class, small-group, and one-on-one interventions. Throughout the day, Pre-K tutors also embed essential skills into classroom rituals. These include literacy-rich transition activities (EX: singing rhyming songs) and affirming, vocabulary-rich verbal communication. Our K-3 tutors serve at one school for the entire year and have the opportunity to support several teachers. Each day, they tutor the same 15-18 students in a one-on-one setting using 10 structured, scripted early literacy interventions that complement and support what’s already being taught in the classroom. 91% of pre-K participants grow enough to become Kindergarten ready in literacy by the end of pre-K. Our students in grades K-3 receive an average of almost 90 sessions of one-on-one support in one school year. Our full-time tutors have fidelity rates of over 95% on assessments and over 90% on most interventions. Fidelity scores are calculated from standardized observation checklists completed by coaches. 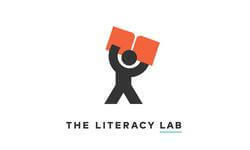 88% of school partners report that The Literacy Lab had a positive impact not only on students receiving services, but also on the literacy levels school-wide.